If someone you know or love has been arrested and taken into custody on or around the California Arts campus – you may require a bail bond for them. We can help. 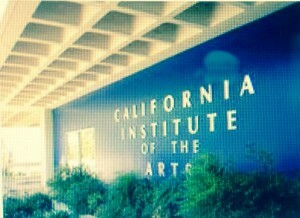 California Institute of the Arts (or Cal Arts) has been in operation producing promising young artists since the 1960s. Like any college though, occasionally people make mistakes and end up in police or sheriff’s custody. Odds are, those arrested on Cal Arts property will be taken to the Santa Clarita Valley Sheriff Station in Valencia, California. Our company has a history of positive relations with the SCV Sheriff Station, and once you give us a call we can quickly answer any questions you may have or get the bail bond application started right away. Additionally, our convenient office is located directly across the street from the station at 23734 Valencia Blvd., #300. We’re the closest agency to the jail! Our local bail agents are available 24 hours a day, 7 days a week to take your call. We can be reached locally at 661-260-BAIL (2245), or toll-free at 855-414-BAIL (2245). The California Institute of the Arts Campus Safety takes care of security on the campus. Their office is located in room E100, though they are not associated with the police nor the Los Angeles Sheriff’s deputies. Typically, the Cal Arts Campus Safety agents will be the first to respond to any complains or emergencies, and if a law enforcement presence is needed, they will call the Santa Clarita Sheriff’s Station. Anything that Campus Safety cannot handle, or if an individual is to be arrested and taken into custody, it is the Santa Clarita Sheriff’s Station deputies who take care of it. Once an individual is arrested, they will be taken to the SCV Sheriff Station to undergo booking and processing. This procedure includes the conducting of a national background check, as well as the taking of fingerprints and photographs. Once complete, bail will be set as per the Los Angeles County Bail Schedule, or the individual might be eligible for a different option for release. A bail bond, or “surety bond,” offers financial incentive to the courts to allow an inmate to be free from custody while he or she awaits their court appointment(s). Basically, the indemnitor of a bail bond agrees to pay the courts the entire bail amount should the defendant not show up for court. This amount can be pretty high, so it is wise to only bail out those whom you know and trust. An indemnitor is the signer of the bail bond application forms and is financially responsible should the defendant choose not to attend their court date(s). If an individual chooses not to attend their court dates, then the indemnitor will be responsible for paying the bail amount in its entirety – which can be pretty expensive. If for whatever reason a court date is missed, all is not lost; sometimes missed court dates are just the result of a misunderstanding. If the defendant for whom you signed a bail bond happens to miss an appearance in court, it can often be cleared up by giving us a call right away. We accept several payment options including debit/credit cards (Visa, Master Card, American Express and Discover), cash, check, money order, bank account transfer or money wire. If you have any other questions about California Institute of the Arts Bail Bonds, please feel free to give us a call any time of day or night at 661-260-BAIL (2245) or toll-free at 855-414-2245. We’re here when you need us.